Montgomery College Television Arts & Humanities	 Professor Jay Marciano hosts a roundtable discussion with bestselling author Barbara Ehrenreich ("Nickel and Dimed: On (Not) Getting by in America) at the Black Box Theatre on the Takoma Park/Silver Spring Campus of Montgomery College. Professor Jay Marciano hosts a roundtable discussion with bestselling author Barbara Ehrenreich ("Nickel and Dimed: On (Not) Getting by in America) at the Black Box Theatre on the Takoma Park/Silver Spring Campus of Montgomery College. Part One of Two. Embed "A Conversation with Barbara Ehrenreich - Part 2" on your page. 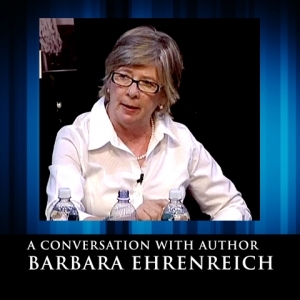 Embed "A Conversation with Barbara Ehrenreich - Part 1" on your page.